Just In!! The very first edition of My Whit’s End Mystery Grocery Box. First off, let me tell you that I mailed this to my sister-in-law Lily. (That’s her and my brother in the photo above.) 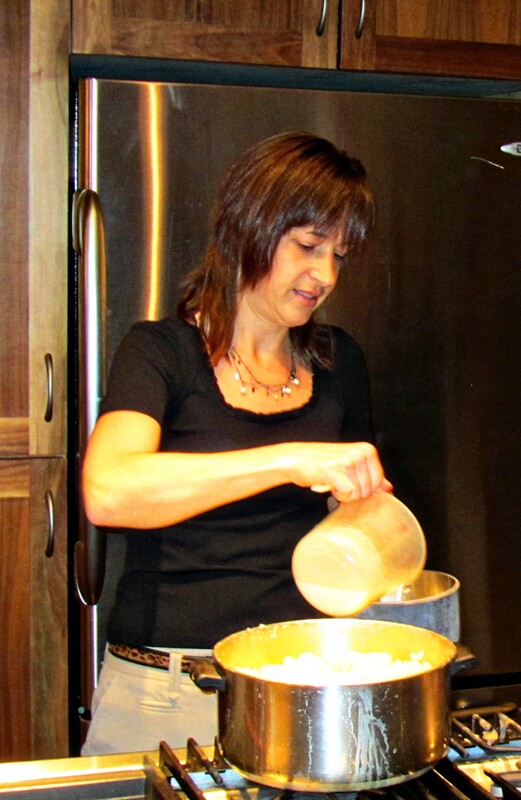 She is an excellent cook, and fun to “talk food” with her–and 100 other subjects. When I visit her home, I hit up her house at breakfast, lunch, supper, and late-nights for good eats. Here’s a picture of her in her kitchen. I’ve said it before, and I will say it again, she is good enough and sophisticated enough to have her own cooking show. And here are the guys for whom she regularly cooks up delicious meals. Here’s the lot she was dealt: Bitter Orange Juice, Passion Fruit Juice, a package of very large Lima beans, whole ears of blue corn, can of hot tomato sauce, can of Crema media. Hope this is what you had in mind….. let me know if an actual written recipe is necessary. I hope not as i didn’t measure anything but the sugar. You didn’t mean for me to ONLY use what was in the box. Did you? because beans aren’t much fun by themselves. 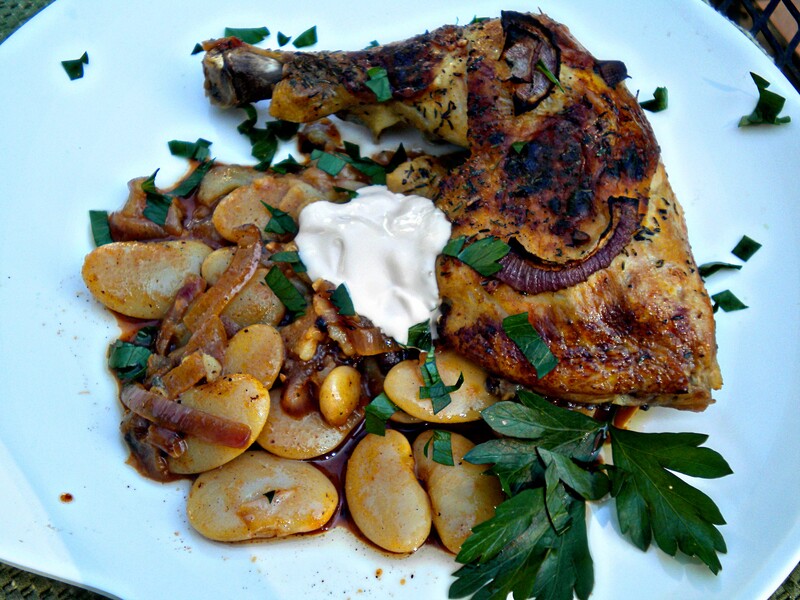 This dish ultimately is a riff on another chicken dish I prepare for my family often. It involves marinating chicken pieces in masses of garlic, lemon, olive oil and oregano then blasting it in a very hot oven till the tops are all browned and crispy and a luscious juice forms in the bottom. I use chicken leg pieces, but you could also use the breast meat, or for fun, do wings!! It would make a great party dish done in mass quantities. If your family eats like mine does, make the large quantity anyway. It’s very inexpensive. I was given bitter orange juice and also passion fruit juice so this is what went into the marinade, along with oil, thyme, and garlic. Four or five hours is good, but i sometimes let this sit overnight, or freeze the pieces in the marinade. 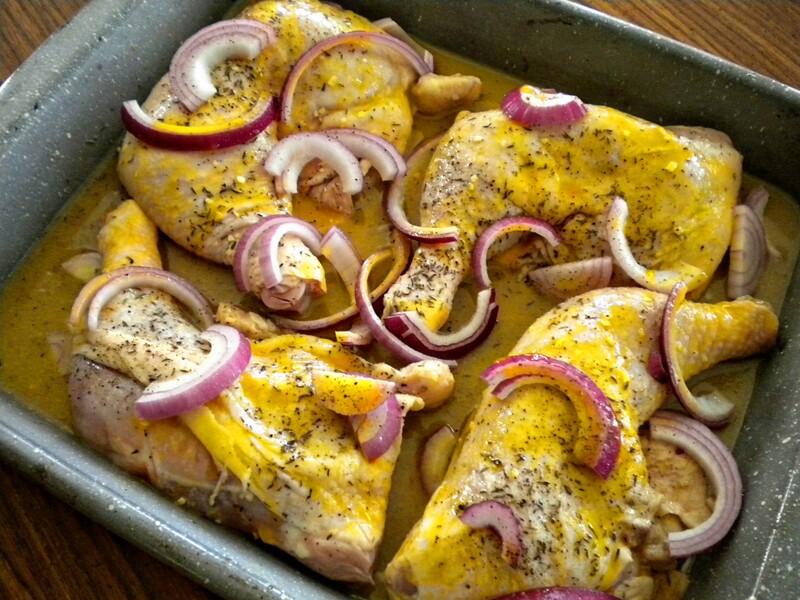 Arrange the pieces in a single layer in a shallow baking dish and put in a 500 degree oven for about 40 minutes. Maybe you can see in the picture that i scattered pieces of red onion in there as well. Nothing like a little browned onion to make it fabulous! While the chicken marinated I turned my attention to the beans. I had soaked them in cold water overnight, and some of the skins began to split and peel off. 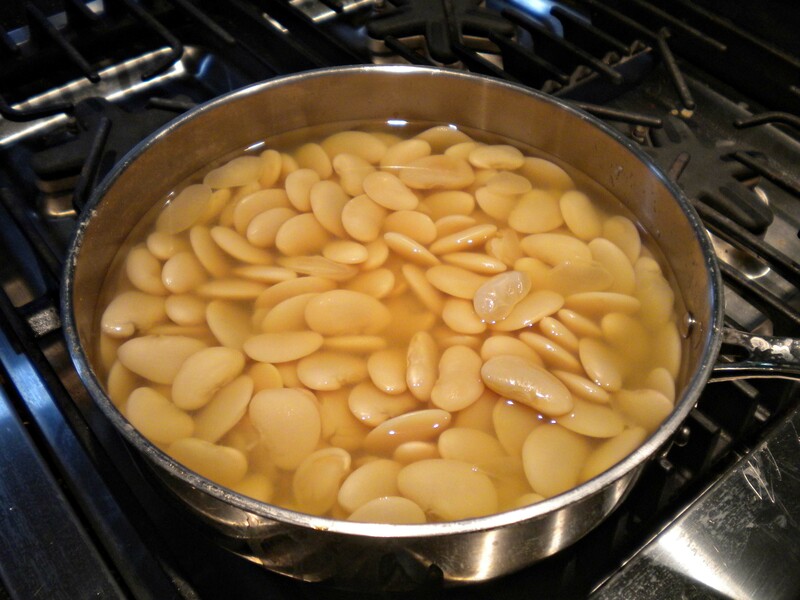 I’m usually anxious when cooking dried beans as it seems like they never get done… I let these simmer in plain salted water for a couple of hours, and that did the trick. They came out silky smooth. My aim was to get as much flavor into those beans as possible! A technique I picked up from some Egyptian friends involves draining canned beans and then dressing them with a sauce afterwards. This is the way i decided to go, rather than cook the beans in a flavored liquid. 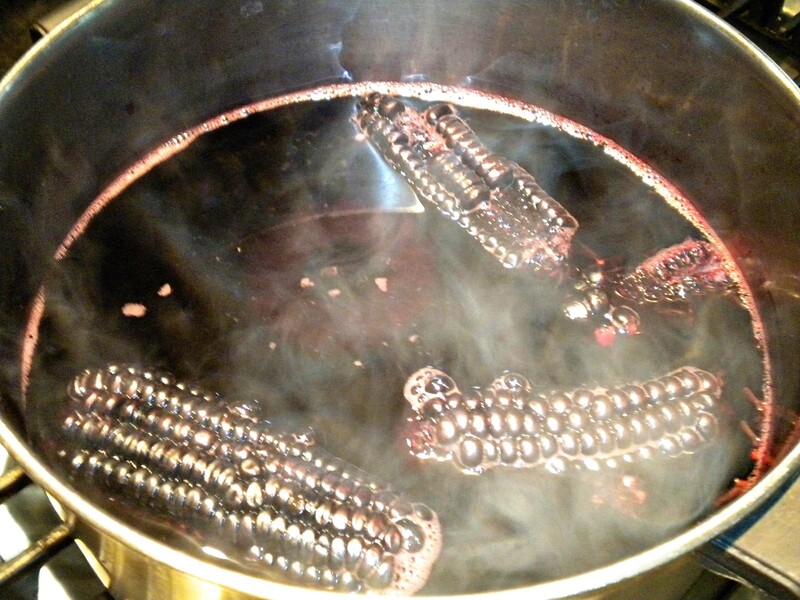 While the main dish was working I boiled up those purple corn cobs…. wow this was something different! I followed the recipe on the back of the bag for “Purple Corn Drink” otherwise known as chicha. You basically boil the corn with lemon juice and some baking spices, cloves and cinnamon to be exact. Afterwards it tells you to add a WHOLE CUP of sugar, more lemon, and some chopped pineapple. This must be typical as my husband says he remembers it tasting like lemon and pineapple. I can tell you one thing…. that is a lot of sugar for that amount of juice. Wow. It’s really sweet. Now, the recipe said to boil some pineapple rind with it too, and the juice of a lemon. 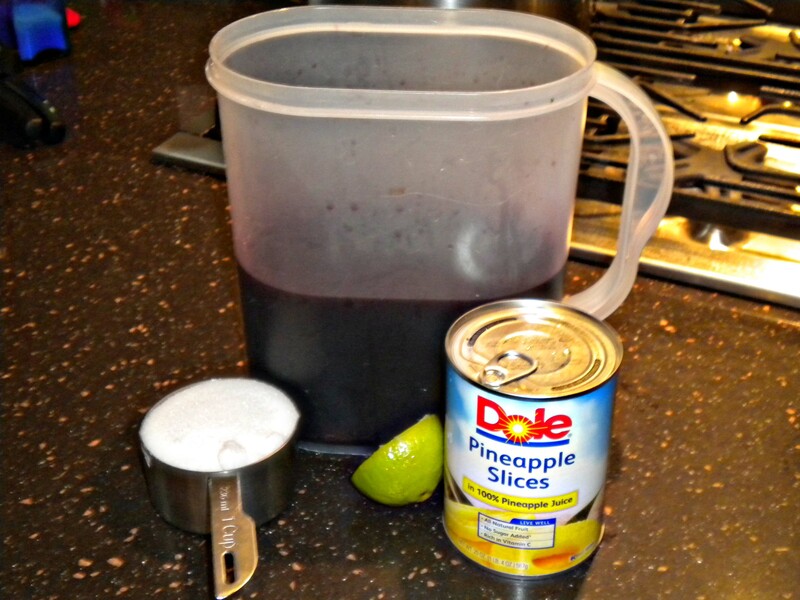 I don’t know about you but i play this game sometimes called I Am Not Going to the Grocery Store Again This Week…… so into the chicha went lime juice and canned pineapple. The main flavor is sweetness anyway so i don’t think it mattered too much. When the chicken was finished, i removed the chicken pieces from the juice and pulled off a bit of the fat. Here is where I broke down on the photo taking part. When I get into the real thick of things, I completely forget about anything else….hopefully you can visualize adding some chicken broth to the pan, scraping off all those tasty brown particles into the sauce, and reducing it a bit to a nice thickened sauce. It already tasted pretty good, then i added a half of the can of spicy tomato sauce. AMazing! I dumped it all over those beans, and I don’t care if you think beans are humble, I’d serve this dish to Alice Waters if she came over. Okay, maybe not. But President Obama, yes. Here it is, ready to serve with a blob of the crema to finish it off. As it is, I’ll just serve it to my family, and hopefully you can give it to your own! Bon Appetit! P.S. 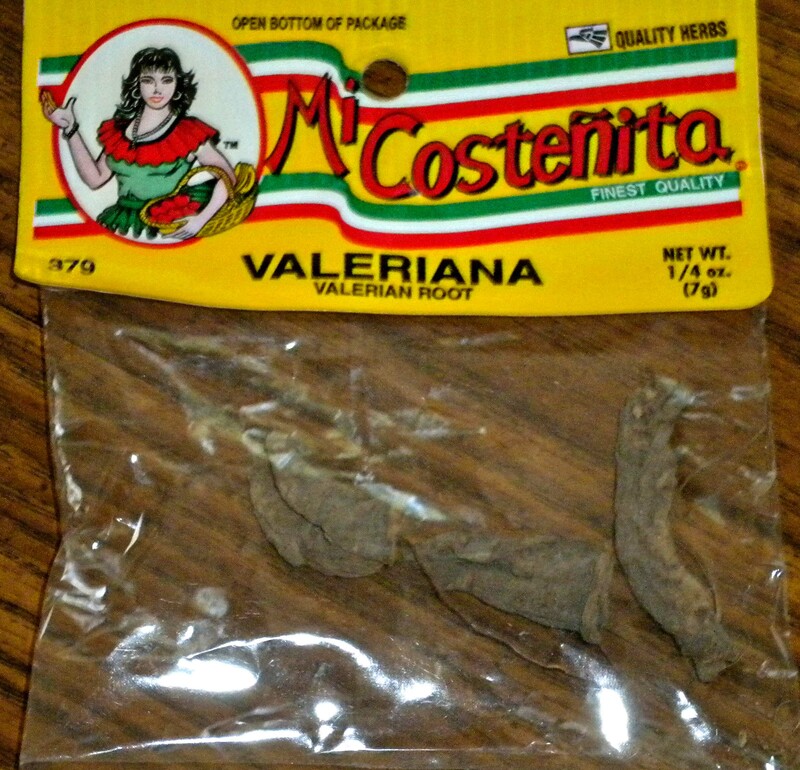 You may have noticed I took a bye on the valerian root. I looked it up having never heard of such a thing. It’s mostly used to make a tea for helping you sleep at night. Since my goal is to make dinner, and also it smelled like old socks even through the plastic, i left it out. P.P.S. 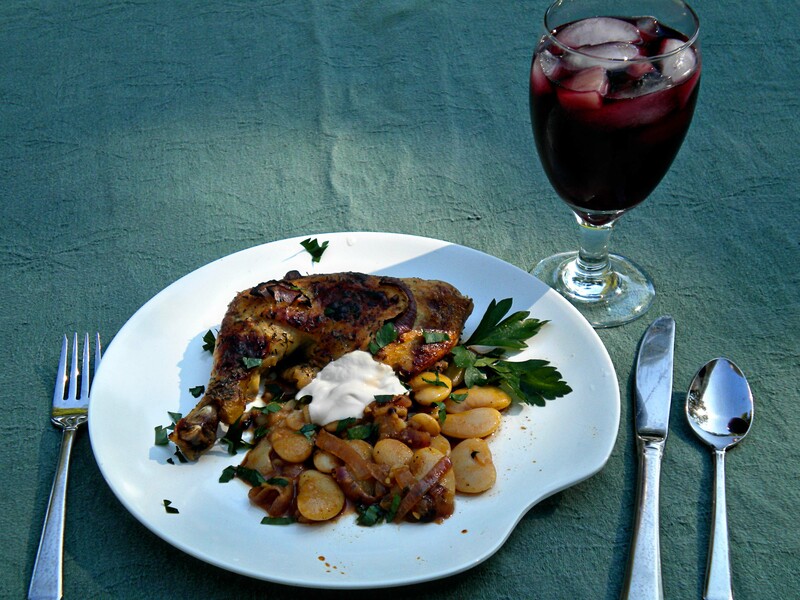 This would be an easy dish to make any night with canned beans. It would be great with plain old pintos. Experiment! Recipes are only suggestions, or guidelines. Put in the flavors your family likes best. 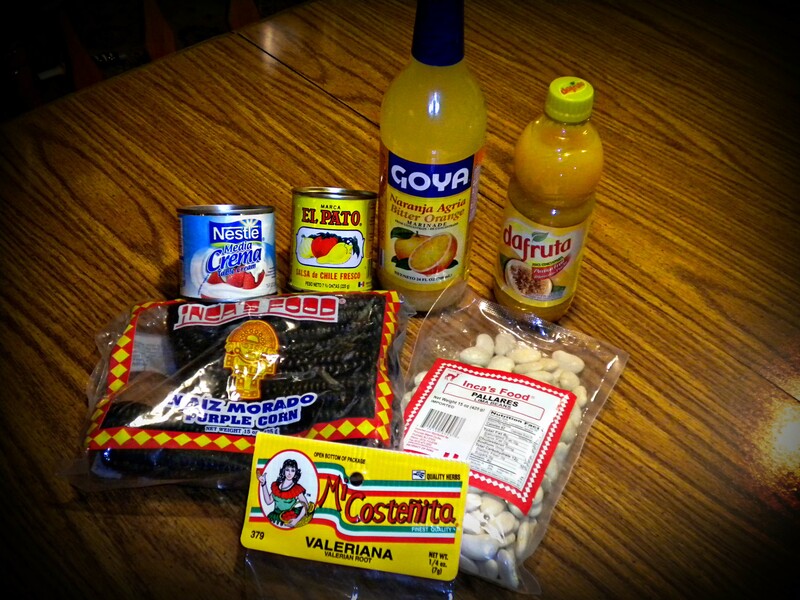 This entry was posted in Recipes and tagged bitter orange juice, blue corn drink, chica, crema media, lima beans, mystery grocery gift box, passion fruit juice. Bookmark the permalink. How fun! Looks amazing, Suzanne! Everything you said about you sil is SO true! I never get tired of talking to her, eating her cooking, or visiting her house. LOL Loved this post. I would be afraid to use that high of heat, but it looks perfectly browned. I’ll have to try it. And the beans sound wonderful too! Yum! Trust me the high heat is what makes this dish. You can blast it first to brown it then back off the heat to low and leave it in the oven till you want to eat. The sauce would also be great on plain white rice, plain egg noodles or even thickened for gravy on mashed potatoes. The chicken and the beans were very good. The sauce made from the chicken pan juices plus the spicy tomato was fabulous. Our family all likes chicken cooked this way. You definitely need to try this. 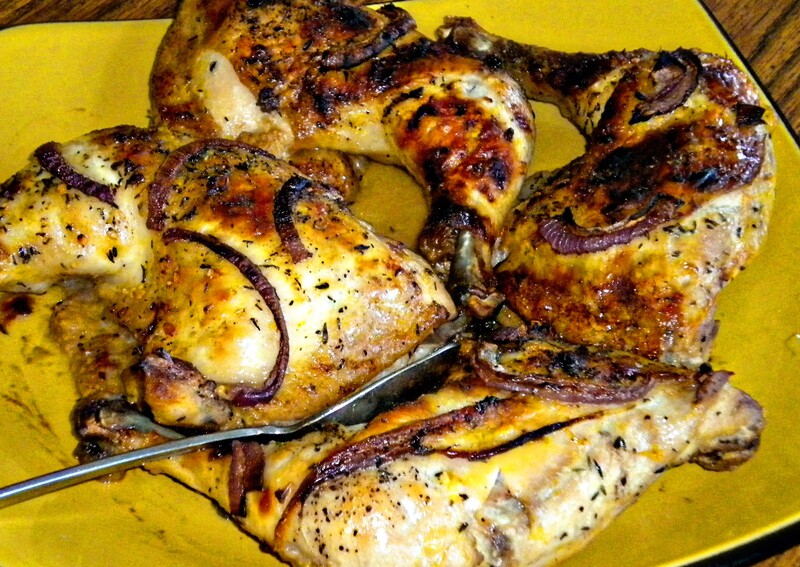 It’s the best baked chicken I’ve ever had and is a family favorite. The hot oven crisps the chicken but the meat is nice and moist. Chicken breasts cooked this was can end up a bit dry if you don’t watch the cooking time but the legs/thighs or whole chickens are great. Usually it’s garlic and lemon but this tropical fruit marinade was even better. The kids had mixed opinion on the chicha. More than one of them thought it was spiced cider…probably because of the spices.